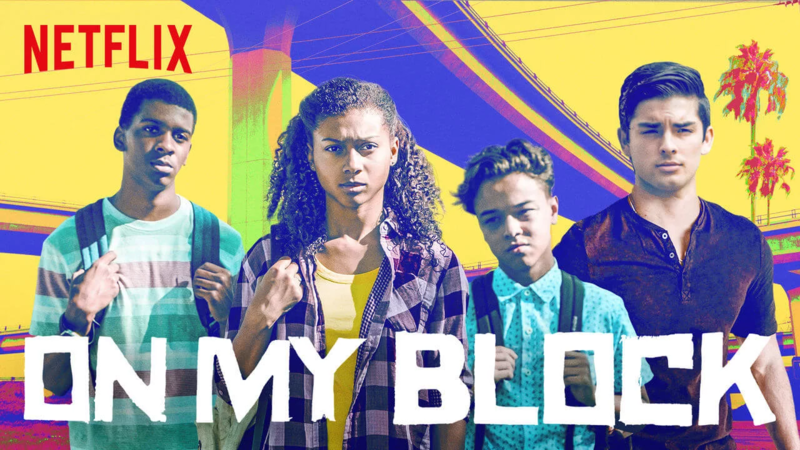 On March 29, 2019, the extremely popular Netflix series “On My Block” made a comeback and people are excited about it. After endless anticipation, fans of the show are excited to see which characters are returning, which ones stayed in Season One, what conflicts get resolved, and what new situations arise in the series. Upon hitting everyone’s screens in March of 2018, people got attached to the show and spent all of last year demanding a new season. Earlier in the year, Netflix teased fans and announced that Season 2 of On My Block would be out sometime in March. Now that it’s finally out, fans everywhere have been voicing their opinions about good and bad things that have happened throughout the new set of episodes. Talk about a new season is already stirring since the most recent season ended on a cliffhanger. Things get real in this season as one of the main characters deals with anxiety. This sparks a sense of comfort in spectators everywhere because of the fact that they see they are not going through this alone. This season was very character-driven and portrayed the passing of time smoothly throughout. In ten episodes that run for approximately a half hour or so, the creator of the show was able to make it appear as though weeks passed by without failing to show the important events that happened within this time frame.